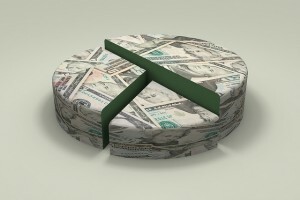 Home » The Lean Marketer Blog » Share your B2B budget insights…and learn! I have yet to meet the marketer that enjoys budgeting. For most, the budget is just a means to an end – you have to spend money to do all the cool things we marketers love to do. To run digital campaigns, to participate in that industry trade show, to create that e-book, to establish a consistent company look & feel, to bring in leads and then nurture the heck out of them…it all costs money. But what if we took a step back and built our budgets strategically? What if, instead of approaching finance as an adversary, we look to budgeting as a planning tool? Our budgeting survey (and subsequent report) is one step to achieving this budgeting and planning nirvana. It is a chance to share your experience and to learn from others who are trying to achieve similar results. The common thread of the survey takers is that all are B2B marketers for Israeli companies that sell abroad. If that does not describe you, please feel free to pass this along to your friends in other Israeli B2B companies selling internationally. Everyone who fills out the survey can receive a copy of the report which will aggregate and analyze the answers, so you can benchmark your budget against other Israeli B2B marketers. And qualified respondents will be entered into a drawing to receive two hours of free consulting from The Lean Marketer. The survey will be open until July 20, so please fill it out and then share like crazy!